German (Deutsch [ˈdɔʏtʃ] is spoken by about 121 million speakers, making it one of the world’s major languages, consistently appearing in the top 10 language of the world. It is spoken in Germany, Austria, Switzerland, Lichtenstein, Belgium, Italy, France, Denmark, Poland, Hungary, Romania, Russia, Ukraine, Luxembourg, Czech Republic, Slovakia, Estonia, Latvia, Lithuania, the USA, Canada, Brazil, Argentina, Paraguay, Australia, South Africa and Namibia. German is a West Germanic language and derives most of its vocabulary from the Germanic branch of the Indo-European language family. A number of words are derived from Latin and Greek, and fewer from French and English. Widely spoken languages which are most similar to German include Luxembourgish, Dutch, the Frisian languages and English. It is written using the Latin alphabet. In addition to the 26 standard letters, German has three vowels with umlauts (Ä/ä, Ö/ö, and Ü/ü) and the letter ß (a special kind of “s”, called “Eszett” or “scharfes Es”). German is a pluricentric language, with multiple countries having their own standardised variants (e.g. Austrian German, Swiss Standard German). There is also one variant referred to as Standard German. German is the only official language of Germany, Austria and Liechtenstein, one of the official languages of Switzerland, Luxembourg and Belgium and a recognised minor language in many countries such as Italy, Slovenia, Hungary, Namibia and Poland. 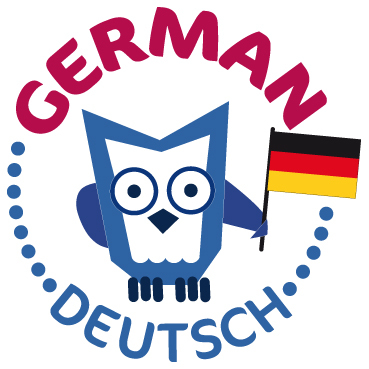 Watch out for the range of products that are coming will help you on the road to teaching your child German.